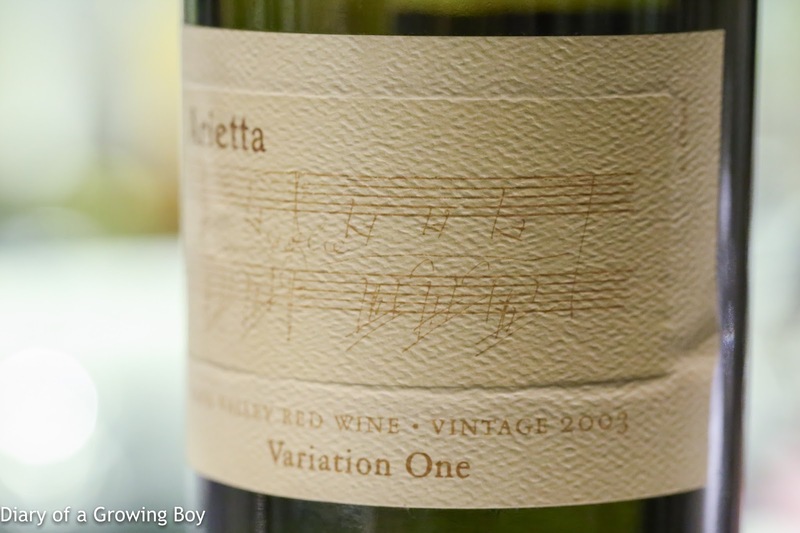 2003 Arietta Variation One - very ripe and sweet on the nose. Later on really fragrant and oaky, and jammy and rich. Tannins still strong. Wine held up for more than 3 hours after opening, but after 3½ hours tannins felt more astringent and became more prominent. After 4 hours, showed some coffee notes on top of smoke.